Growth Machine turns 1 today. This time last year, I was in a Starbucks sending welcome emails to my first two clients. The “team” was me and a part-time content marketing freelancer, who I was paying out of $5,000 I’d transferred from my personal bank account(1). Today, we’ve grown to just over $100k in monthly recurring revenue. Our team has five full-time content marketing experts, and 40+ contractors. We’re growing 12 client sites, two of our own sites, and one site we invested in. We have all that big business stuff like health insurance and 401ks, and we’re all flying out to Austin in a month for our first retreat. That’s fairly fast growth for an agency, or any business really, so I thought it would be fun to reflect on why I think we’ve been able to grow this way. Obviously, there’s going to be a lot of narrative fallacy and confirmation bias, but for anyone considering starting an agency or service business like ours it might be useful. 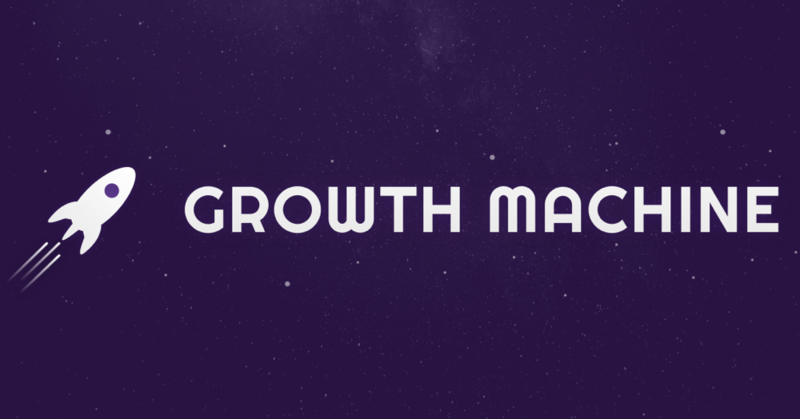 Growth Machine started on somewhat of a whim. Within a week, two friends with growing businesses asked me to help them with their content marketing. I’d done a few consulting projects before and they hadn’t gone well, primarily because most businesses don’t have the talent in-house to run a successful content marketing operation, so I decided that instead of consulting, I’d make as turnkey of a content marketing solution as possible. Instead of churning out articles and tossing them to our clients, or trying to direct them what to do, we’d handle the whole process: research, writing, posting, promoting, reporting, optimizing. Basically, we’d do the job of a great content marketer, at a lower cost and with much faster ramp up. I suggested $6,000 per month for three articles per week, both friends said yes, and the business was off. I’ll dig in a bit on each one. This is where every agency or consultancy needs to start out. There’s something you and maybe one or two other people are really good at, and you convince people to pay you to do it. At the start, it was me, Assya, and a few writers who I found through my email newsletter. We were doing everything, and I had my hand in almost all of the work going on. But it would be more accurate to say that all but one initial client came from this blog. The two friends who hired us knew I had some idea what I was doing from this blog. The two from this blog were obviously from this blog. Benji at Grow & Convert had some confidence in me from this blog. And the friend who referred us to the last one, again, had some confidence in my ability from this blog. This is why I feel a little dishonest saying we had all this growth in “one year.” It was only possible because I’ve been writing free in-depth marketing posts on this site and others for four years, which built the personal equity that made it possible to attract clients right off the bat. If I didn’t have this blog or my past marketing roles, there would have been no way to attract these clients. So if you’re wondering “where’s the money” in blogging… that’s a pretty good example. Without articles like The Wiki Strategy this all would have been much harder. But we quickly hit the point where I couldn’t be doing so much of the day to day implementation if we were going to grow. By December, it looked like we were going to have eight clients we’d need to manage in January, and I was already hitting my limit with four, so it was time to hire. Refining our process around those three core areas was essential for starting to hire, and is something I’ve gone into more depth on here. It would have been impossible to hire before I had a grasp on what our core processes were. But once those three positions were outlined, the path forward from solo operator to team operation was clear. Once those three roles were filled, we’d have a complete team for doing every part of the agency work. Our first hire was Nora, who took over steps 1 and 2. She already had experience growing her own site from scratch so she knew most of the SEO and content marketing needed for the role, and she was able to do both strategy and production for the clients we had onboard at the time. Then, Brian joined full time to lead all of our promotion work. He’d been helping out with promotion as a freelancer, and it was clear we were growing quickly and wanted him full-time on the team to manage all of our promotion strategies and contractors. Pretty soon, we hit the 10-12 client point where it was impossible for Nora to do the strategy and publishing, so we were lucky enough to find Heather to take over all editorial and writer management. She’d had experience managing editing a newspaper and tackling 50+ pieces per week, so she was the perfect fit to tackle the number of articles and diversity of topics we were covering. The next step was growing the agency with the team(2). We were earning $60,000 in revenue per month, but we knew we could handle more clients and more work, so we set a rough goal of getting to $100,000 per month and capping it. With the team running much of the execution, I was able to focus more on sales and growth. I tried a bunch of different acquisition strategies: direct outreach, incentivized referrals, guest posting, partnerships, but ultimately the same strategies that got us started kept delivering the best results. Referrals, blogging, and interviews. The other big factor to our growth was retention. Many of our early clients were bad fits and churned as soon as the initial contract ended. As we’ve got better at figuring out which clients are a good fit for us, we’ve had more long-lasting clients, which has made it easier to grow our client base without increasing the number of leads or clients we sign per month. After a few months, we started to get close to the point where we were putting way too much work on Heather. It seemed like our limit was in the ~12 client range, and if we wanted to go bigger, we’d need to hire another editor. We started down the route of hiring one. We put up job postings, started interviewing people, but then as we got close to hiring someone, we had a team discussion and decided not to go ahead with it. Growth Machine started partially because I wanted to start something, but wasn’t sure what I should start a business in. Since I couldn’t decide, and didn’t feel like I had a killer idea, I figured I may as well start a business that grows businesses, since then I could always point it at something else I wanted to work on as well. When we made the Build Your Own Content Machine course, we saw that the SEO for tea-related topics was surprisingly uncompetitive. That led to us eventually starting the Cup & Leaf blog, and expanding it to a whole tea ecommerce store which I wrote more about here. The Cup & Leaf blog was just getting started when we realized we needed to hire another editor, but we decided that instead of doing that, we’d rather keep the agency the size it is, and start growing some of our own properties. We love the companies we work with on their content marketing and don’t want that to stop, but I sensed that there was a limit to how much bigger we could go with the kinds of relationships we have and how premium of a service we provide. We’d almost necessarily need to start delivering lower quality work at some point, so we decided we’d stick to 10-12 companies and ~$100,000 in revenue per month, and put our leftover energy towards our own projects. To help with that, we hired Erika, who had been one of our favorite writers since our first clients. She’d already been writing everything for Cup & Leaf and another site of ours, and it was a no-brainer bringing her on to lead the content strategy for those sites. This next section isn’t part of the growth story, but there are some big lessons we’ve learned along the way I didn’t want to skip on. They’re in no particular order, just things I wish I knew or took more seriously a year ago that I think will be helpful to other people starting an agency or service business. How much you can charge at this stage is a function of how good you are, how much reputation you have, and how well you can sell yourself. Most people undercharge. I think this is because to an individual, especially one who isn’t sitting on a huge stack of cash, charging $4,000 a month or $100 an hour seems like a ton of money. But to a business making millions of dollars a year, that’s almost a rounding error. Most people can charge more for their work without hurting their conversion rate too much. So based on that assumption, I continued to increase our prices with each new client until I hit a price point that was a good balance of profit and expectations. We started at $6,000 per month for our basic package, steadily increased it to $10,000, realized that was too much, and now have backed it off to the ~$8,000 - $10,000 base range depending on what a client needs. The absolute best way to get clients, I’ve found, is by reputation and a reasonable amount of bragging. Talking about results on this blog, in podcast interviews, and on Twitter, have led to the majority of our leads and referrals. Outbound sales was a complete waste of money for us(3). For what we do and how selective we are with clients, it wasn’t a good fit at all. Going on podcasts generates a lot of leads, but I found that the leads were typically much lower quality. We’ve taken on 4 or 5 clients in the last year from podcast interviews, and they were all extremely high maintenance, cheap, hard to work with, and the projects failed. Most of the leads, too, were cheap and hard to talk with. Meanwhile, referrals continue to be one of our best sources, as does this blog. Having some sort of digital reputation for the work you do is huge, and the best time to start building it is now. They must have tried SEO content marketing. People who had tried it and failed appreciate the difficulty and time it takes. They must have product market fit and a marketing budget. Early stage companies, especially venture funded tech companies, don’t have the same relationship with their finances as businesses that are doing $1M+ in revenue, have a marketing budget, and know their customers. They must be doing complementary marketing activities. Our process works much better if clients are also doing ads, PR, anything to get more traffic to the site. And, generally, we prefer ecommerce. Tech products just don’t convert as well from content according to what we’ve seen, for some reason. Obviously, these rules are flexible, but they at least make it very easy to disqualify sites that wouldn’t be a good fit. Bill at the start of work with net 15 terms or shorter. This is almost essential for being in a good cash flow position as an agency, especially when you start hiring people. Here’s why. Let’s say you bring on a client for $10,000 a month, and you have an employee working on them who earns $120,000 a year ($10,000 a month for argument’s sake). If you send your invoices at the end of the month, even with net 15 terms, you don’t get paid for your work until 45 days after you started on it. Since your employee is being paid that whole time, you will have to pay them a month and a half of salary ($15,000 in this case) before you get paid for the work they’re doing ($10,000 in this case). If this continues, you’ll always be $5,000 short. If the client pays later than 15 days, which is more common than you’ll like, you’re even more in the hole. But if you bill at the start of work and they pay in 15 days, you’ve only done one pay period ($5,000) but you’ll get paid $10,000, and you’ll stay ahead of your payments to your employees. This is much more comfortable of a position to be in, and you’ll find that most businesses worth doing business with have no problem with these terms. I do free work all the time and give away freebies as a way to build good will with people who might know potential clients. I think it’s been essential for getting referrals, and it makes people feel good which is always nice. The easiest way to do this for me is to audit their site for SEO opportunities (usually takes 10-20 minutes at this point) and give them free access to our $500 course (doesn’t cost me anything). This takes maybe 30 minutes to do, but means a lot to the companies receiving it, and has led to multiple introductions and referrals that I wouldn’t otherwise have gotten. I’m not saying do free stuff just to get something from other people. Rather, don’t shy away from free work the way most agencies do just because you don’t want to “do anything for free.” A good rule of thumb is: if they want free work, don’t do it. If they aren’t expecting it, do it. Where we are now, we have 12 clients we love working with, our two internal projects, and one site that we’ve invested in. Since we’re at around our capacity for clients, we get to be selective now in who we take on. We don’t have to take on bad clients or clients who aren’t a good fit, and we can keep a waiting list of sites to potentially work with. Over the next year, I think we’ll keep our agency-focused team around the same size and the same level of exclusivity, while growing the side of the business focused on other projects. We have no intention to stop working with clients we enjoy working with, and it’s also fun to direct some of our energy and strategy to projects that we own. It’s an aggressive goal, but it would be pretty cool to write another post like this next year and have Growth Machine making even more from the same team and number of clients, have Cup & Leaf grown to over $83k MRR, and maybe a couple other projects going as well. But I never could have predicted everything that happened this past year, so I know the next year will surprise me as well. 1: That freelancer was Assya Barrette who's phenomenal, and you should work with her if you have the opportunity. 2: Hiring a team as an agency is actually pretty scary. As I get into later, it's risky because the cash flow economics are much worse, but there's no way we could have continued growing if we hadn't started hiring. 3: However, the agency we worked with, Conversations, was wonderful, and I'd definitely work with them again in a business where it made more sense.